A10 Networks, a provider of intelligent and automated cybersecurity solutions, has outlined its strategy, solutions and roadmap to help mobile carriers future-proof their networks for the coming wave of 5G and the demanding new applications, including enhanced mobile broadband (eMBB), ultra-reliable low-latency communications (URLLC) and massive machine type communications (MMTC), it will enable. A10, a leading solutions provider to mobile carriers, has proven production and pilot 5G deployments with tier-1 carriers worldwide and is working with many others to plan for their future 5G initiatives. A10 addresses critical 5G requirements for improved security, reliability and performance, through consolidated solutions, which result in lower latency, high reliability and lower TCO – all of which are paramount for 5G networks and deliver major benefits in today’s networks as well. A10’s solutions address existing and emerging mobile network architecture requirements for consolidated services, greater scale and lower latency communications across the Gi-LAN, virtualised EPC and multi-access edge computing (MEC) environments. A10 solutions also provide full spectrum security and visibility for the control and user plane operations. 4G to 5G standard compatibility and investment protection: A10 supports existing 4G and 3G network architectures and use cases for the Gi-LAN and EPC, while meeting the more demanding requirements for 5G emerging architectures. These solutions can be deployed in today’s infrastructure, but are future-proofed for successful 5G deployments. This includes functional consolidation for application visibility and control, subscriber-aware intelligent traffic steering, Gi/SGi firewall with carrier-grade NAT (CGNAT), GTP/SCTP firewall, integrated DDoS and more. Scale for increased subscriber demand: 5G demands are inherently different than 4G, with smaller packet sizes, more throughput and higher concurrent session counts observed. A10 solutions can scale concurrent sessions to multi-billion levels and throughput to multi-terabit levels in a scale-out cluster. 5G deployments can benefit from compact and efficient options, for example 220 Gbps in 1RU PNFs, or high performance 100 Gbps VNFs. 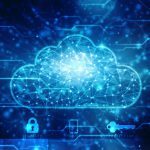 Core infrastructure security: With new user plane and control plane security requirements coupled with the increased attack surface and scale brought by 5G and IoT device proliferation, more advanced, scalable and automated approaches are needed for 5G networks. To guarantee uptime and ensure control and user plane security, components include GTP firewall, Gi/SGi firewall, control and user plane policy enforcement, DNS protection, security proxies (SEPP) and more. Additionally, A10’s advanced 5G DDoS Protection solution includes Artificial Intelligence (AI) and Machine Learning (ML) via dynamic attack pattern recognition (DAPR), continuous baselining and one-DDoS for distributed intelligence, for full visibility into all packets, versus traditional sample-based only solutions. Eco-system partners for a broader solution: A10’s products integrate with multiple 3rd party solutions and vendors. Ranging from DevOps tools, such as Ansible, to providers of 5G solutions such as Ericsson, NEC, Tech Mahindra and Lenovo for a comprehensive eco-system. A10’s 5G roadmap is focused on 5G solutions to ensure continued scale, lower-latency, agility and security. As 5G adoption increasingly requires multi-terabit performance on the Gi-LAN, A10 will continue to provide industry-leading scale in both VNFs and PNFs, including scale-out agile deployments with containerised solutions for virtual mobile edge compute requirements. With emerging 5G standards and architecture demanding multi-terabit scale with extremely low latency solutions on the one hand and very high agility and interoperability on the other hand, 5G requires a full spectrum of physical, virtual and containerised offerings. 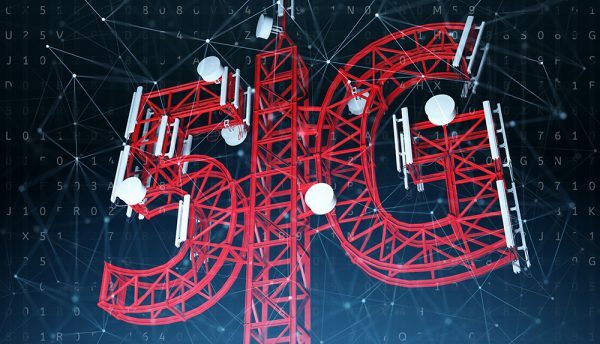 A10 will continue to evolve with emerging 5G and related standards specified by the International Telecommunication Union (ITU), 3rd Generation Partnership Project (3GPP), European Telecommunications Standards Institute (ETSI) and others. A10 is partnering with many of the world’s top mobile carriers as they develop 5G pilots and future-proof their networks for the journey ahead.